We have the sales process knowledge and deep technical expertise to know what makes a great software solution, but we also know that your business has unique needs. That’s why we only provide the solution that’s right for you. Ever wonder what CRM solutions can do for you and your business? 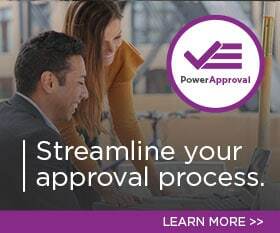 As the Microsoft Dynamics CRM Partner of the Year for two years running, PowerObjects can help you develop Microsoft Dynamics CRM for sales management tailored to your needs, helping you streamline business processes, centralize sales data, and give you unprecedented visibility into your sales data. You can get any or all of the above with our tailored Microsoft Dynamics CRM solutions. Our team of bright, energetic experts will respond to any challenges faced by your enterprise with the perfect blend of business and technical expertise. PowerObjects leaves no sales challenge unresolved. We’ve seen and conquered a variety of common and rare business issues, and we pride ourselves on the ability to be continually innovative. Start getting the best from your sales and marketing teams with a CRM solution that improves your data reporting standards today.